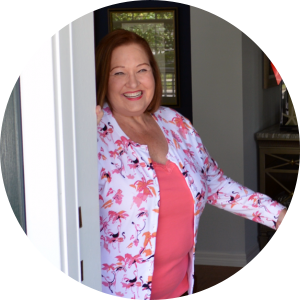 My home is decked for Christmas and I am ready to welcome you in for my Holiday Home Tour. I hope you have had a chance to visit all of the other homes that have been part of the tour this week. I have been so lucky to be joined by such a talented group of bloggers who have been happy to open their homes for you to enjoy. If you have missed them, you will find links to all of them at the bottom of this page. Let’s begin at the front door, come on in! I will be sharing more of my front porch decorations next week! Last year I re-purposed these trees to give them a bit of a nautical touch. You can read about that at Using Rope to Repurpose Christmas decorations. We have never had a home with such high ceilings, so this meant buying a new tree this year, and a lot of new ornaments. I have to admit I think our tree looks a little bare this year, it will be interesting to see what next year brings! This tree is in our living room, but we can see it from the family room which is nice. 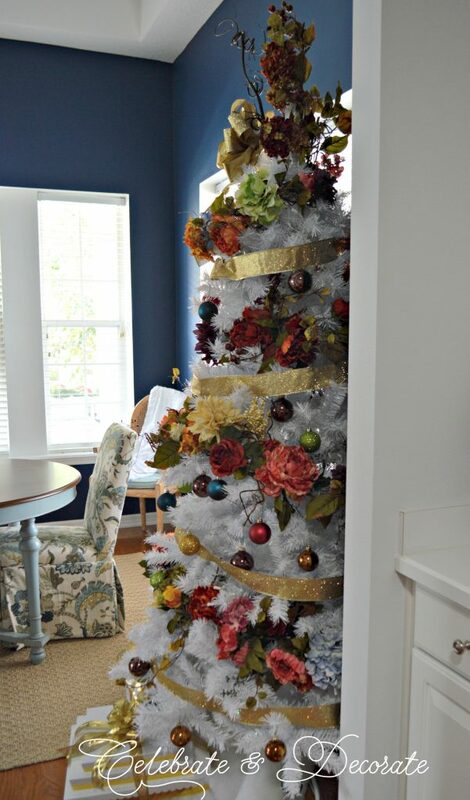 The dining room is just across from the living room and I am displaying this beautiful white tree in there this year. There are more photos at Dreaming of a White Christmas Tree. 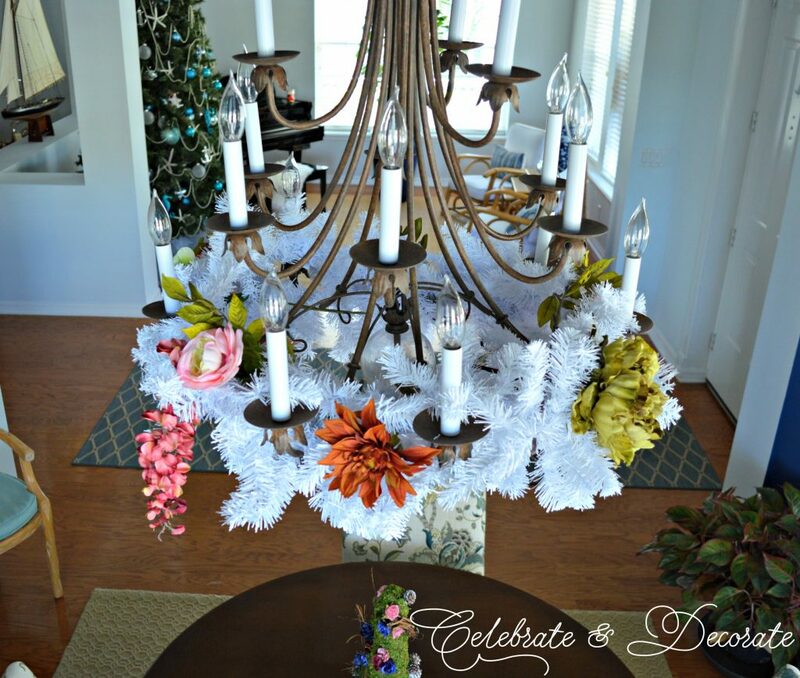 I added white garland to the chandelier in the dining room to coordinate with the white tree and nestled a few of the florals from the tree into the garlands. Even though we added this shiplap to our fireplace, it is still big and imposing, so it deserves the royal treatment for the holidays! 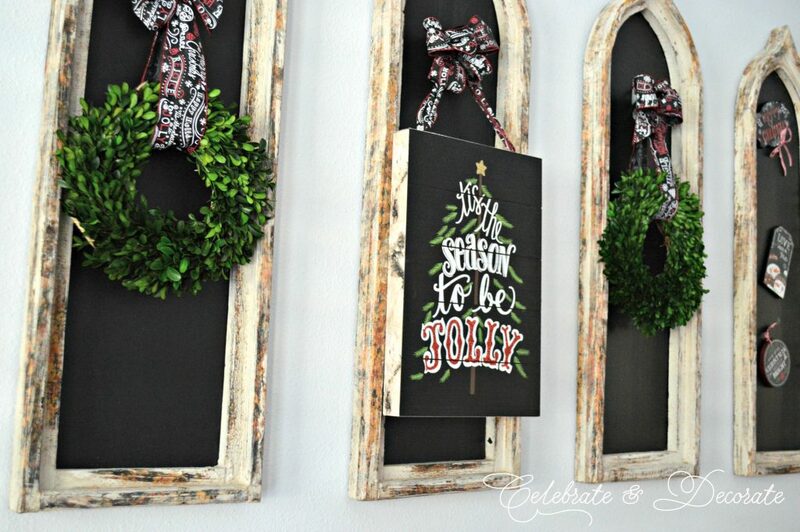 I bought four of these faux garlands at Hobby Lobby and hung them with Command hooks. 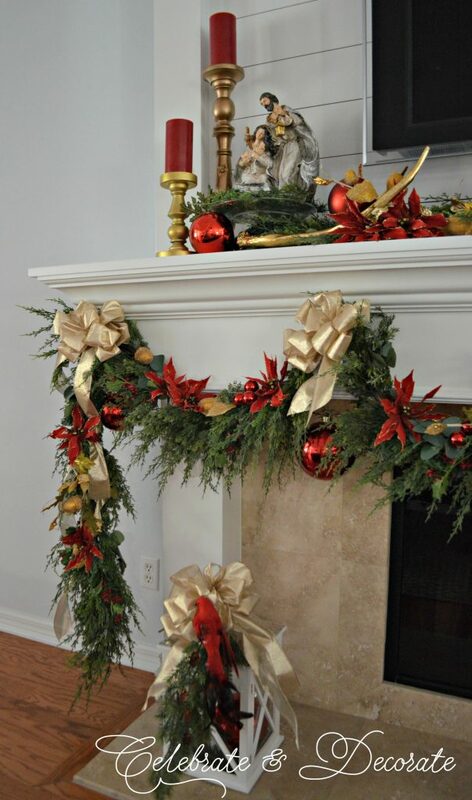 Traditional colors of red and gold dot the garland with ornaments, bows and poinsettias. In the tavern room I have these five chalkboards that hang on the wall. They have been decked out for the holidays, too! They coordinated with the holiday tablescape that I featured last week. Since moving in we haven’t done much to our kitchen, but I have a couple of little touches of holiday cheer in here. 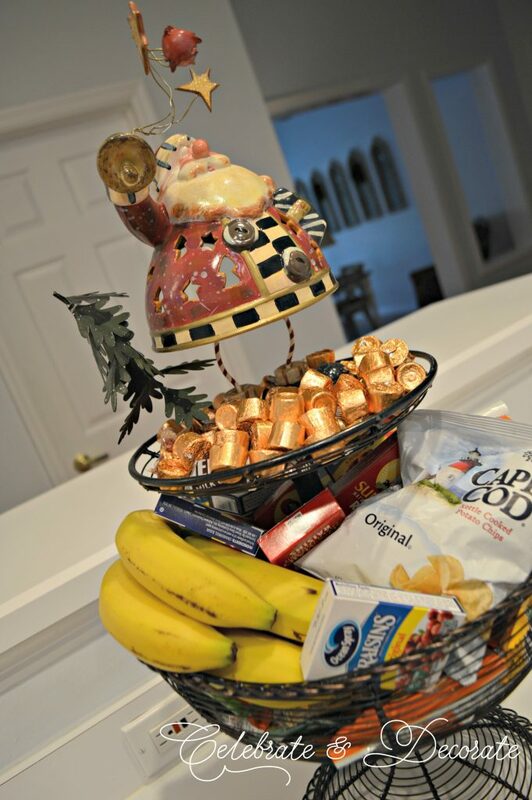 This jolly Santa which holds a tea light (I am using a battery operated one) sits atop my tiered baskets that hold snacks. I re-discovered these three trees in a box I hadn’t opened since we moved here and was tickled to find them and add them above my cupboards. The reindeer were on my table last Christmas, but I like them up here. I am so proud of my sign. This was a real struggle for me, but has made me want to try more. This is the first sign I have ever made and is a combination of stencils and hand-lettering. It is a good thing this was supposed to look kind of rustic! Our bedroom only got a little touch of holiday decor but it is so pretty I will likely leave it up for a couple of months. It says Winter more than Christmas. 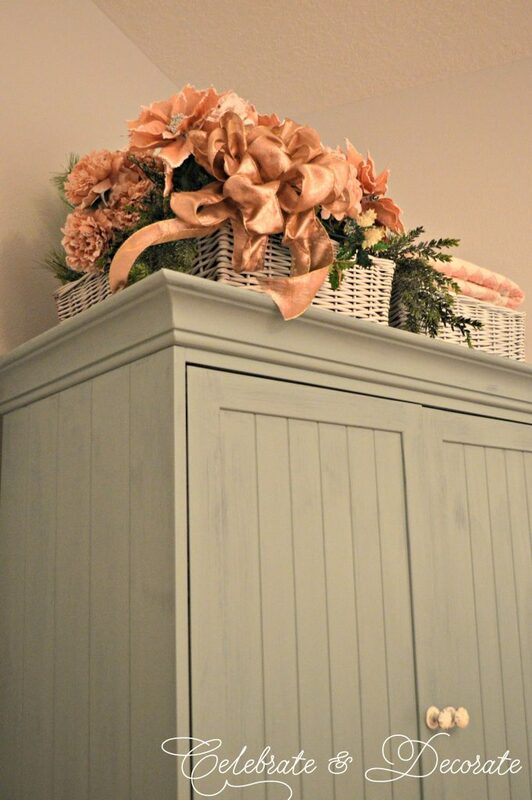 I just filled these baskets that set above our re-purposed armoire, one with a treasured pink and white quilt which was pieced by my grandmother and the other full of icy pink florals and some faux evergreens. I hope you have enjoyed the homes we have brought you this week. 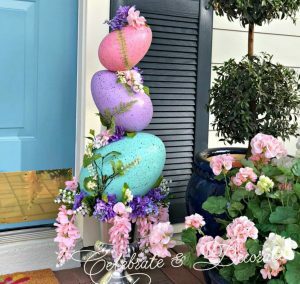 If you haven’t done so, please click through the links below to check out all of the lovely decorated homes. Lovely! I especially like those rope trees…. I think some might find their way into my future decorating schemes. Just one question…how long does the Rolo section stay stocked? In my home those bananas would be brown and to chocolates would be gone! Chloe, the front entry lets guests know they’re in for a treat, but that garland on the fireplace from HL is so gorgeous with its flourishes! Love the nautical trees, too. I think it’s always hard to decorate anything for the first time, especially a new tree, but starting completely from scratch (ornaments and all) could be daunting. I think the seaside tree turned out great. And the sign looks great too. Your house just keeps getting better, Chloe. Happiest of holidays to you, and special thanks for being such a gracious host. Chloe, your front entry is just stunning and welcoming! I love the new tree and the bright blue just stands out with the strands of pearls. 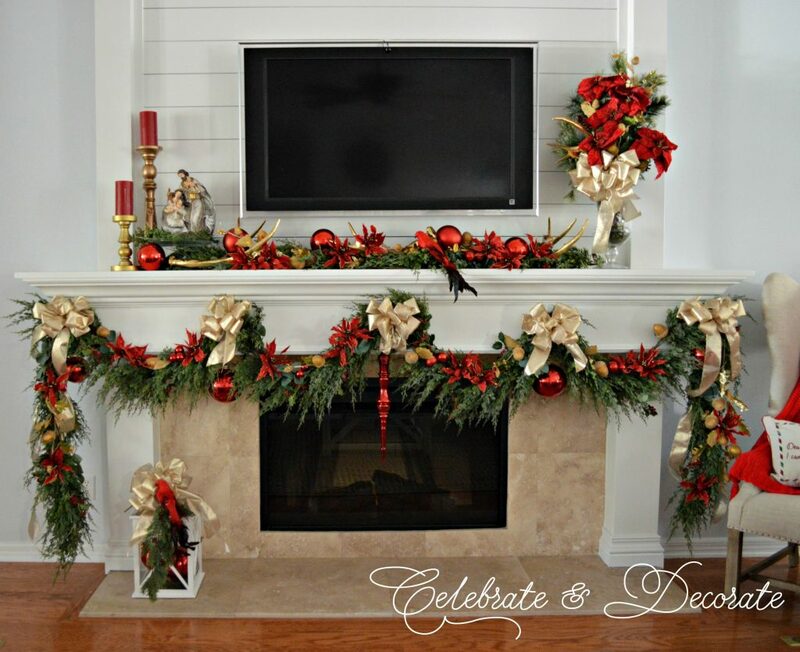 Your fireplace and mantel with the red poinsettias are perfect in all of its detail. The white tree is so unique the way you have decorated it and adding the white garland to the chandelier is the finishing touch! Beautiful home all decked out for the Christmas season…and a most fabulous hostess! Wishing you and yours a joy-filled Christmas! Thank you so much Christine! I am really enjoying the mantel myself! Thank you so much for participating in the hops! Merry Christmas to you and your family! Your entrance has a grand feel, very welcoming! Then to see your gorgeous nautical tree. 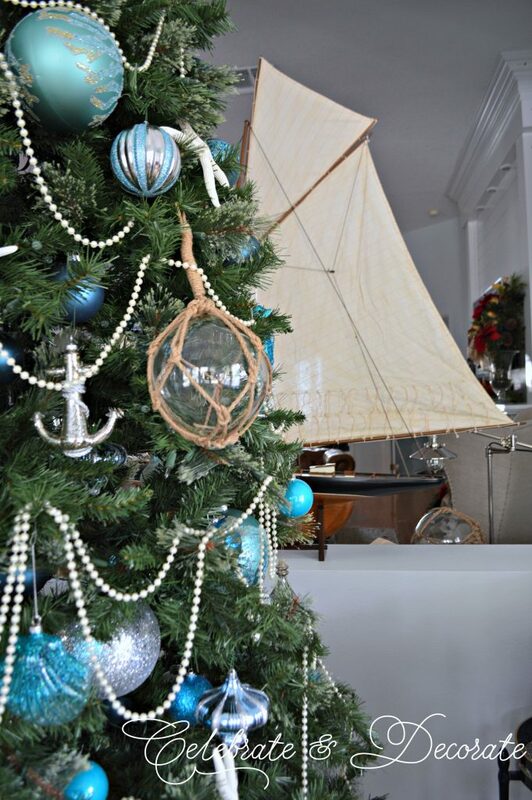 I love the blue ornaments in various sizes and textures with strands of pearl garland and nautical ornaments. It is utter simplicity with grand elegance. It is just right. I love it. Wow, your mantel is amazing. Beautiful Nativity! Your evergreen garland is striking. What a beautiful focal point! I love your house plan that flows from room to room. I am wondering when you sleep with so many rooms to decorate and hosting blog hops and hometalk. They have been delightful and we appreciate you. Thank you Bonnie! The rest of the porch will be featured later this week. Oh, I sleep…very well these days! I appreciate you being a part of the hops! Merry Christmas to you and your family! Chloe, beautiful decorations. 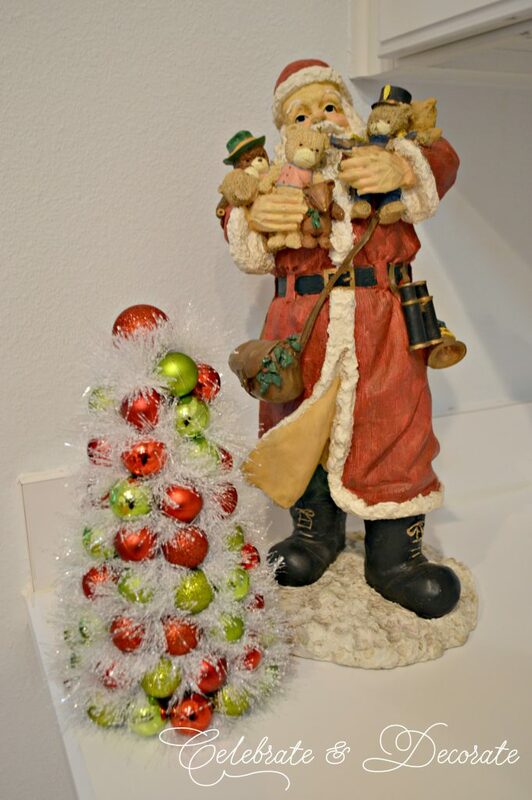 I love the rope~wrapped Christmas trees ~ that’s a really simple way to bring in the nautical theme. I think the blue ornaments on your tree are really pretty and really make the tree stand out. We have very tall ceilings too and get an 8~foot tree and could go much taller, but the taller they are, the more expensive they are! Thank you so much for hosting the two hops. 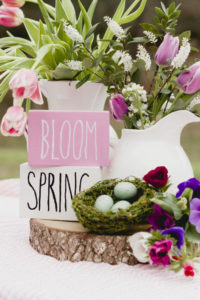 It’s been so much fun to see what others are doing and connect with other bloggers. Have a Merry Christmas and enjoy some rest! Thank you so much Carol. My husband and I shopped early and you won’t believe, that 10′ tree was just $399! We got it from At Home. I thought it was a very pretty tree for the price, not like a Balsam Hill tree, but you are right, they get very expensive! Thank you for being a part of the blog hops! Merry Christmas! Rest? What is that? I got my 2 week respite in August…I am not sure when I will take some time off again! Wonderful job on all your holiday decor! 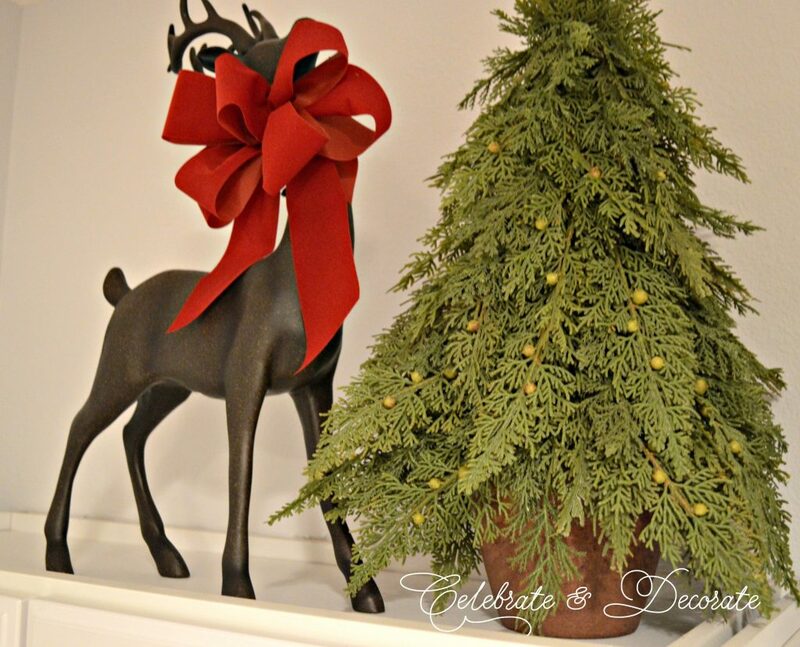 Everything looks so festive and beautiful- I especially love your “coastal style” tree with all the starfish;) 😉 Its been so fun blog hopping with you again this week- thanks so much for organizing the hop- wishing you a very Merry Christmas! Thank you so much Kristy! Thank you for being a part of the blog hops! Merry Christmas to you and your family! Sweet Chloe, everything looks beautiful. I don’t know where to start! 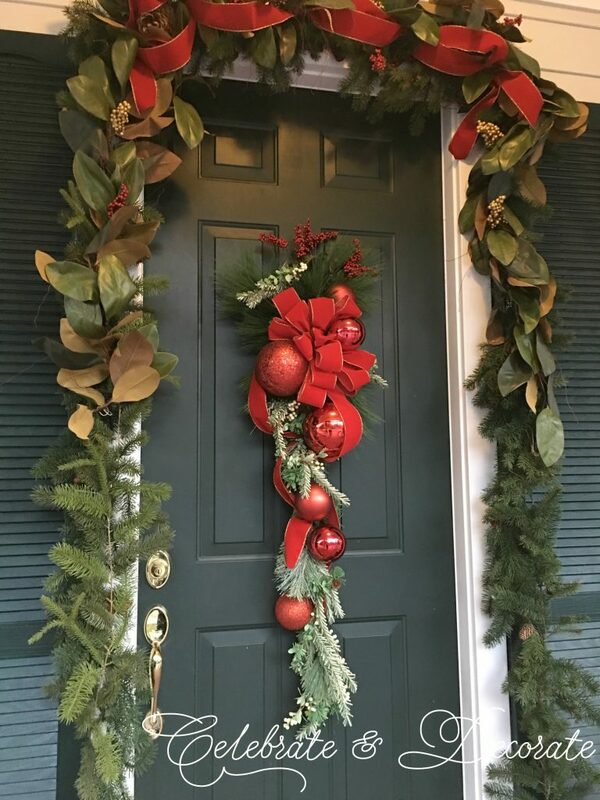 Your entry is gorgeous with the magnolia leaf garland…so pretty. 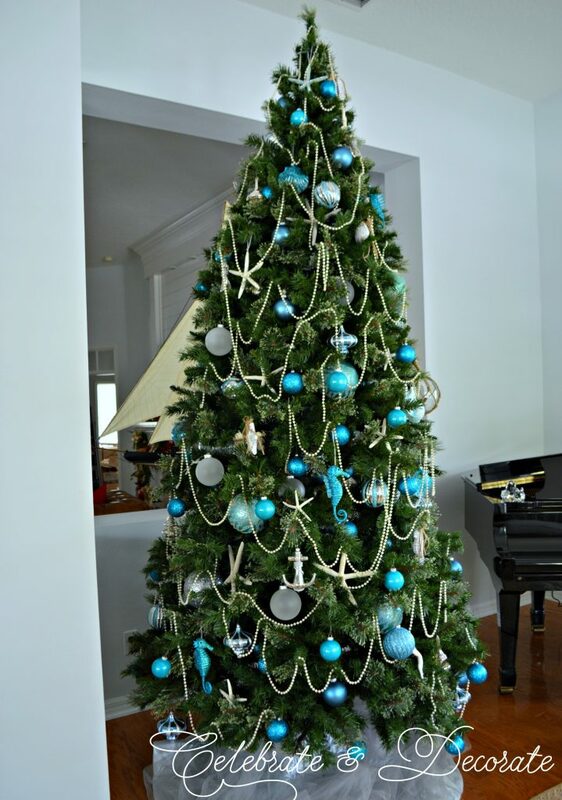 I also love the coastal tree, especially all of the pretty blue ornaments! Your mantel is stunning, just as the Fall mantel you created was. I love red and gold at Christmas. It looks so traditional and elegant. It has been so much fun participating in the blog hops that you have hosted. I consider it such an honor to join you and the other group of wonderful ladies. Thanks so much for all of your hard work. I know that you are a busy girl. I have enjoyed watching your instructional videos. You are very talented, and I am so happy for your success. I hope that you and your family have a very Merry Christmas!!! Thank you so much Shannon! Thank you for being a part of the blog hops! Merry Christmas to you and your family! Thank you so much Naomie! Oh yes, I fall into bed very tired! 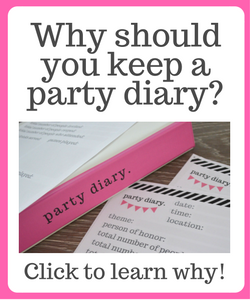 It helped my husband was gone one weekend on business and I cranked out the work! Happy Holidays to you, too! Chloe your home looks stunning. I love the repurposed rope trees, what a creative idea. Your mantel and fireplace are stunning. Lovely home. Thanks for putting this home tour together. Thank you BonBon and thank you so much for being a part of the blog hops! 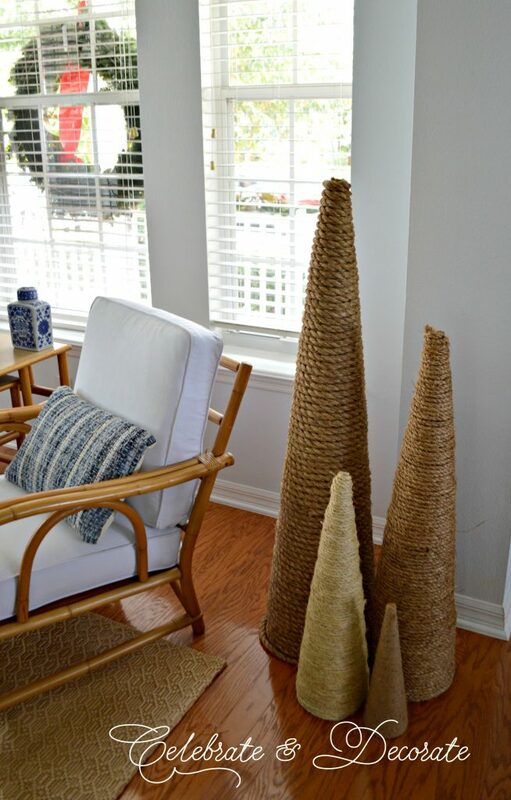 Love the welcoming rope trees Chloe, a hint of what’s to come with your beautiful tall nautical tree! I love that you created a whole different feel in the dining room with the most unique white holiday tree, and then the fireplace and mantel, now that’s a big WOW factor! You are decked out to the nines for a very jolly holiday! 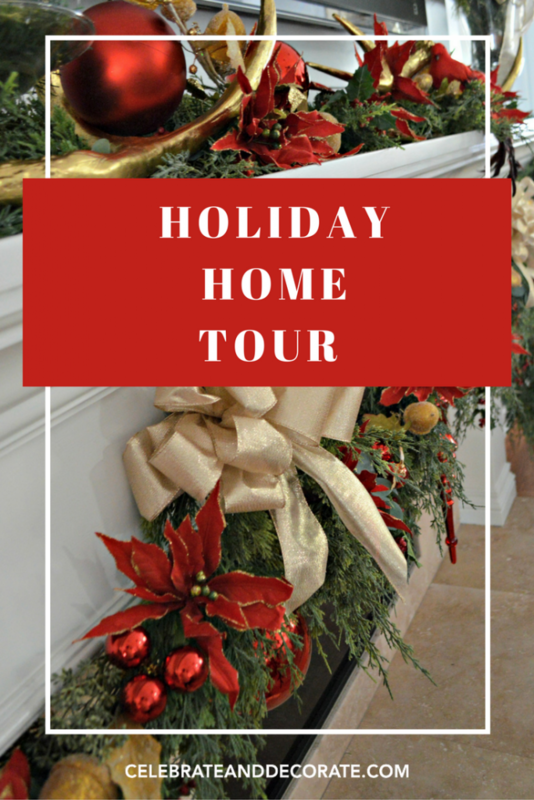 Thank you for including me in this fabulous holiday home tour, each and every home is just incredible, and it’s so much fun to visit and see so many different styles and wonderful homes. Thank you for putting these hops together, it is very motivating to go the extra steps when you know you are part of such a great and talented group. I wish you a very merry stress free holiday! Thank you Jenna! I was very happy with how my mantel turned out! Thank you so much for being a part of the blog hops! Merry Christmas to you and yours! From the glorious decor on the front door to the pretty arrangement on top of the armoire in your bedroom, you have definitely decorated your home in style! How fun to have 2 different styles of trees with one of them being white – love that look. 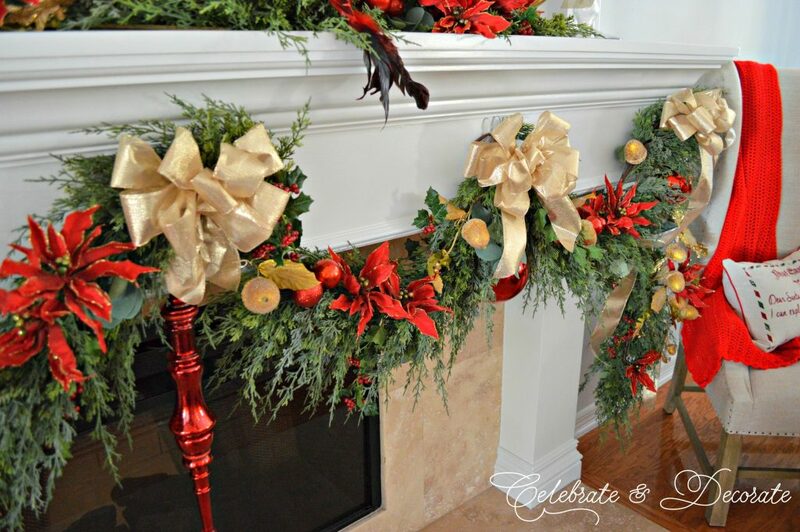 Your mantel is breathtaking (pinned right away) with the red and gold and greenery. 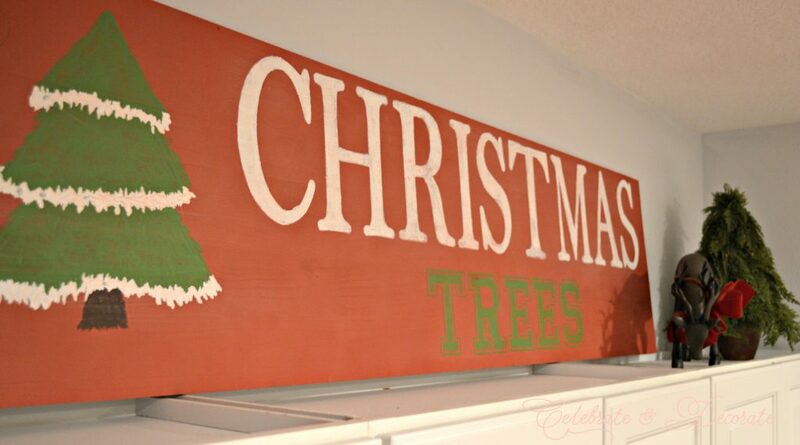 You do have talent when it comes to sign painting and your “Christmas Trees” one looks perfect above your cabinets. Thank you from the bottom of my heart for putting together these blog hops and asking me to participate. I have thoroughly enjoyed it and appreciate all your efforts – especially when there are the inevitable glitches. A very Merry Christmas to you and your family Chloe! Thank you so much, Lori! I was so fortunate to have Treetopia reach out to me and give me the white tree this year, this is something I haven’t experienced much since blogging. Thank you for pinning my mantel! Oh, that sign!! It gave me fits! Thank you so much for participating in the blog hops! Merry Christmas to you, too! Thank you so much Rhonda. Thank you for being a part of the blog hop! I know I am not done doing all of my commenting with all of the work this has been and I travelled all day on Friday! Chloe, your home sparkles with joy and beauty. The magnolia garland is such a welcome sight, and your blue nautical tree is stunning. The white tree is a showstopper, merry and pretty, drawing me in. I want to linger for a while and study each ornament and flower. Your mantel is absolutely gorgeous and could grace the cover of any magazine. 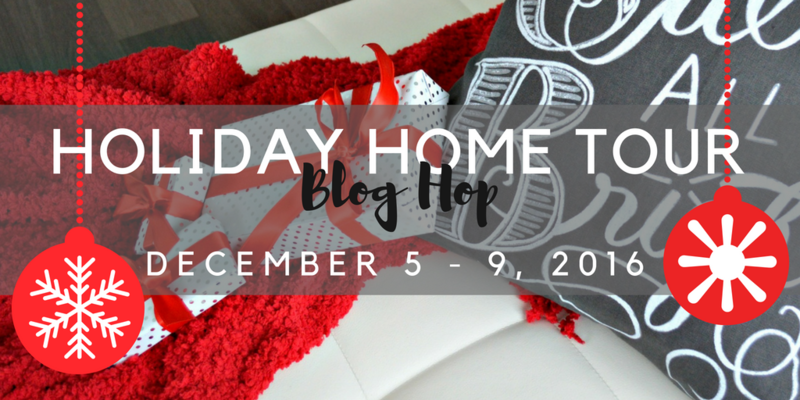 I want to thank you for including me in the holiday blog hops. You made them a pleasure, and I looked forward to each one. I have so loved getting to know you this year, along with meeting so many lovely, kind-hearted, talented ladies. That, to me, is the best part of blogging. Wishing you a merry Christmas! Thank you so much. You are so sweet, I could only hope that my decor could someday be in a magazine, let alone a cover!! I appreciate you joining the blog hops, and I have enjoyed getting to know all of you bloggers! There is so much I like about your decor choices, but the thing I like the most is that blue and white Christmas tree! It’s so refreshing and you’ve made lots of lovely vignettes throughout your beautiful home. Thank you again for hosting this fun blog hop. I know it is such a busy time of the year, and I appreciate your efforts. I’m wishing you the best in the holiday season and the new year. Thank you Linda. I would love to do the whole house in one theme some year. Thank you for joining the blog hops! Merry Christmas to you and your family, too! Your home is so pretty. So festive and merry. I am sure your friends and family just love spending time in your beautiful home. You have done a wonderful job decorating it all. Your Christmas trees are gorgeous but that mantle has to be my favorite. Wow, that is certainly a show piece. I also like the idea for the chandelier. I am definitely using that one. Thank you for sharing your lovely home with us and also for bringing this wonderful group of bloggers together. Its been fun blog hopping with you. LOVE your doorway! SO festive and inviting. 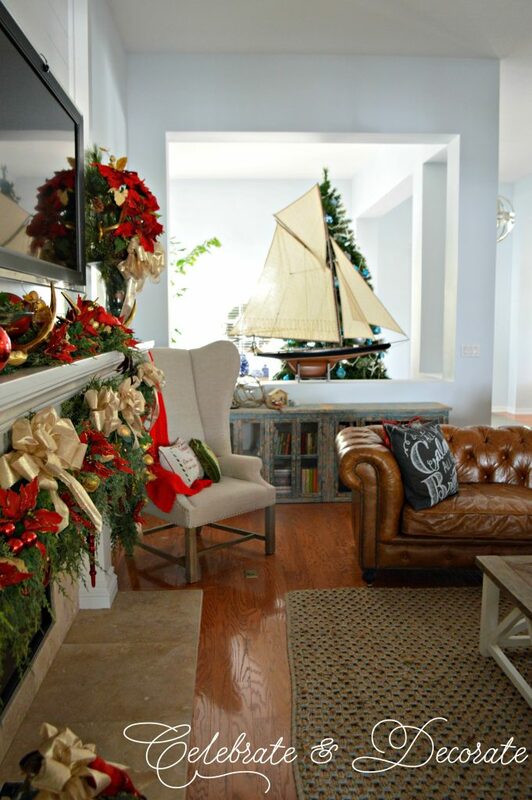 What I also love is the nautical twists that you did throughout your home but still tied it in to Christmas. All of your trees are so lovely too! Thank you so much Stacey! Merry Christmas to you and yours! Chloe, this is fabulous! 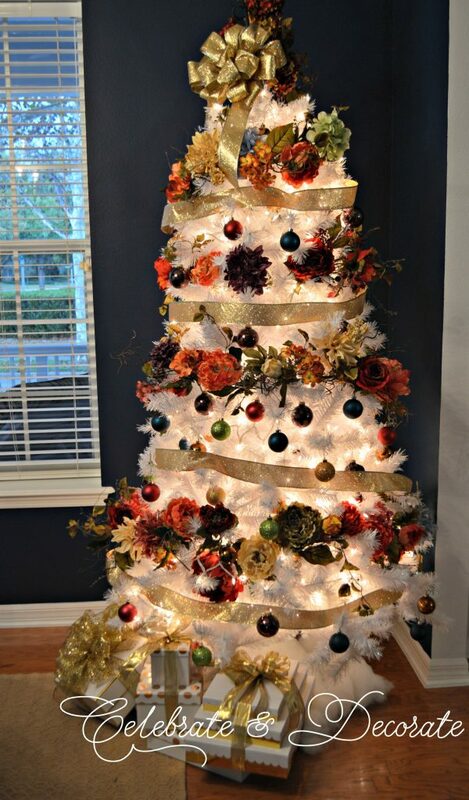 I love the nautical trees, the gold ribbon and fresh look to your garland. Lots to file away for my nautical room next year. Thanks again for all you do for us bloggers!! You are a gem. Thank you Kim. Thank you for being a part of the hops!